#HowDoYouHug transforms expressions of love into real-world comfort for children in need. 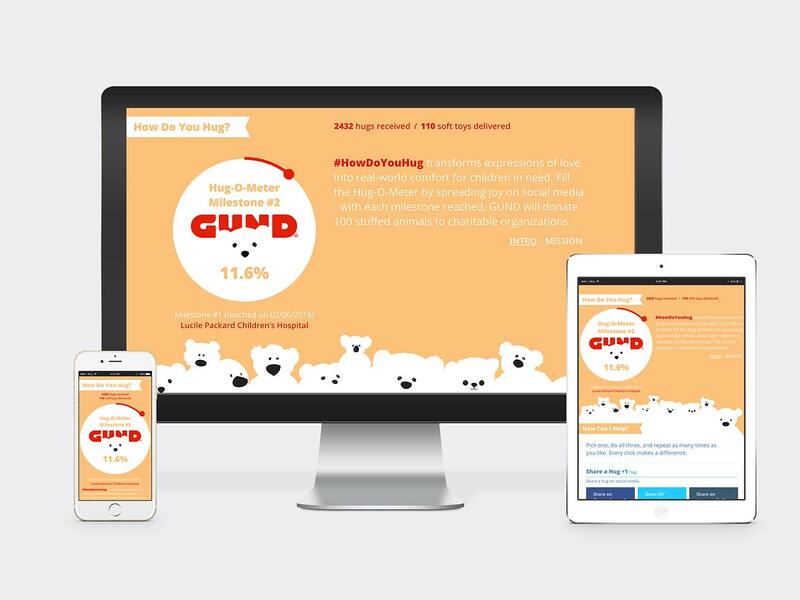 Fill the Hug-O-Meter by spreading joy on social media — with each milestone reached, GUND will donate 100 teddy bears to charitable organizations. Deliverables: visual system, social media strategy, website, animation, custom-built content management system (CMS).